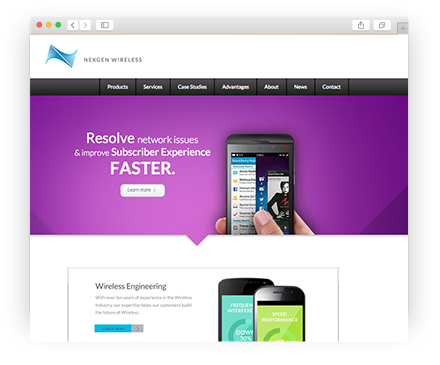 Nexgen Wireless is a fast-growing wireless analytics and engineering company. We were asked to design their website and refresh their brand identity. 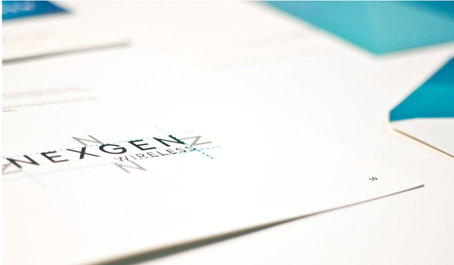 Nexgen's logo communicates a sense of motion and dynamic energy – qualities that reflect the rapidly evolving worlds of mobile technology and big data. At the same time, it says that Nexgen is a purposeful, smart and multi-dimensional company. 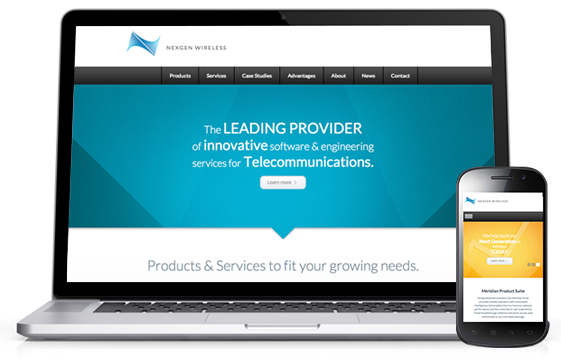 The Nexgen website was built to speak to marketing teams, managers and engineers. Its design offers a fresh, intuitive and welcoming way to learn about all of the complicated things that Nexgen does for its clients. Nexgen asked us to help define branding and marketing strategy for its software products. 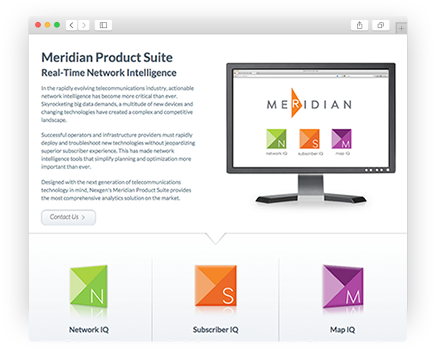 We created names for the products, and group them into a product family called Meridian Suite. 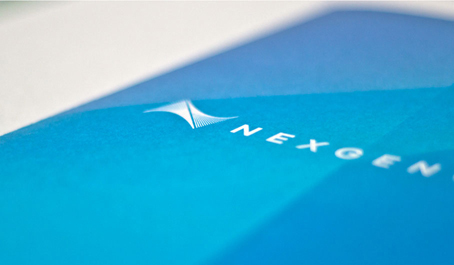 We provided copy for the Nexgen website and other marketing materials. Value propositions are clearly communicated through to-the-point headlines and non-technical language. The resulting tone can be used in communications with the company's multiple audiences.